Who doesn't know his song "Sa Ugoy ng Duyan"? 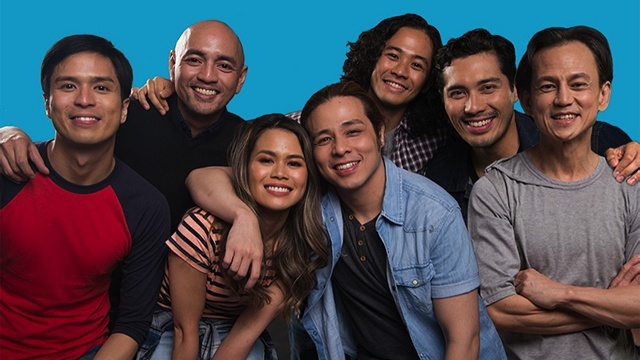 (SPOT.ph) After Google Doodle's six-panel illustration of Francisco "Balagtas" Baltazar's Florante at Laura on April 2, the search engine once again pays tribute to a Filipino artist today, April 30. 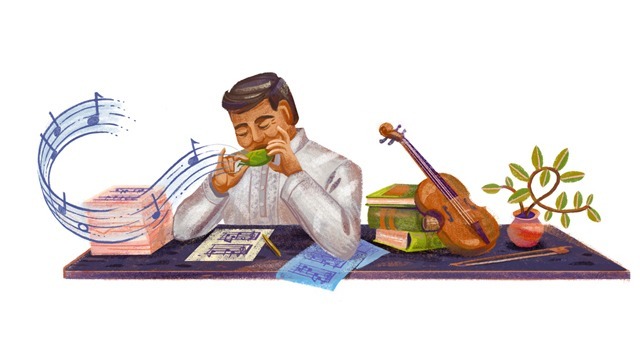 The special logo on its homepage commemorates the 108th birth anniversary of National Artist for Music and Literature Levi Celerio with a drawing of him playing a tune out of a leaf. Celerio, born in Manila in 1910, composed over 4,000 songs in his lifetime, including the popular love songs such as "Kahit Konting Pagtingin" and "Saan Ka Man Naroroon? 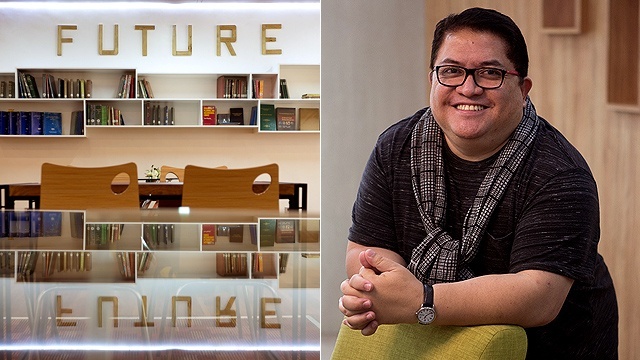 "; Christmas classics like "Pasko Na Naman" and "Ang Pasko ay Sumapit"; and folk songs like "Itik-Itik" and "Waray-Waray." You were probably even lulled to sleep to the beloved lullaby "Sa Ugoy ng Duyan," or sang the nationalistic lyrics of "Bagong Pagsilang." His daughter Levita said that the great musician would finish an entire song during a coffee and cigarette break. 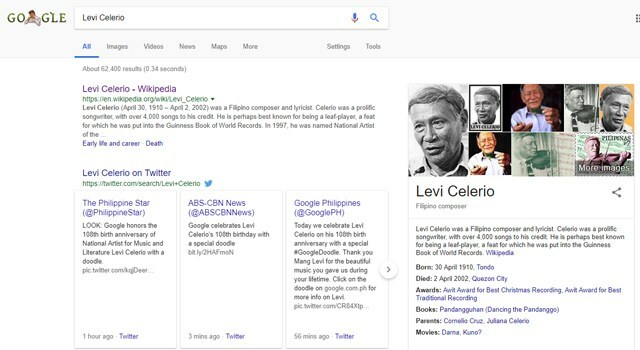 Aside from the thousands of songs in his repertoire, Celerio was also listed by the Guinness Book of World Records as the "only leaf player in the world." This talent in using a unique material to make beautiful music started at a young age, when he would hear the whistling of leaves whenever the wind blew. So why not do the same but with your own breath, right? 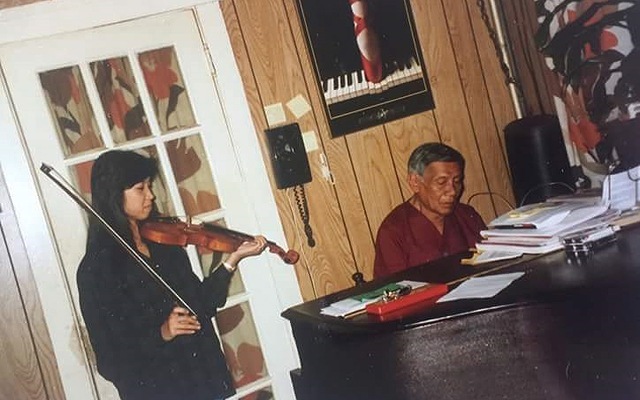 Levita recalled his father's story during an encounter with Japanese soldiers who asked him to prove that he's a musician—as he's claiming—and not a guerilla. With no musical instrument on hand, he plucked a leaf off a tree and played a song. And that leaf saved his life. If you click on Google Doodle's image for today, you can find out more about one of the greatest and most prolific musicians in our country.